Facebook made it clear that there is no such algorithm to limit someone facebook news feed to same 26 friends. Facebook response to Copy-and-paste memes which claims that new facebook ranking algorithm limits the number of peoples shown in the Facebook news feed. Ramya Sethuraman, a product manager who works on ranking, Facebook says "The idea that News Feed only shows you posts from a set number of friends is a myth." Those posts which ask them to copy their post and past it on their wall. "Do not hesitate to copy and paste on your wall"
Here is one of the example post About this facebook 26 Friends Limit in news feed. How to avoid hearing from the same 26 FB friends and nobody else:  Here is a post explaining why we don't see all posts from our friends. 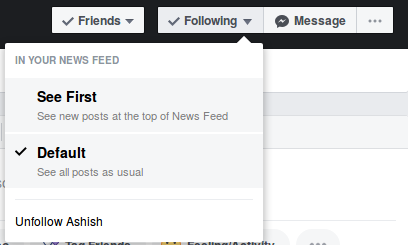 News feed recently shows only posts from the same few people, about 25, repeatedly the same, because facebook has a new algorithm. Their system chooses the people to read Your post. However, I would like to choose for myself, Therefore, I ask you a favor: if you read this message leave me a quick comment, a "hello", a sticker, whatever you want, so you will appear in my news feed. Don't just "Like", Facebook requires a "Comment". Even one word! Thanks!!! Otherwise Facebook chooses who to show me and instead I don't need facebook to choose my friends! Do not hesitate to copy and paste on your wall so you can have more interaction with all your contacts and bypass the system. That's why we don't see all posts from our friends! Facebook says that the "26 Friends Limit" is a myth, and this is understandable. As facebook rank the posts in your news feed that they believe you'll be interested. You may see the posts from similar list of posters but if you continue scrolling you can find posts from all other posters too. Facebook also accept that commenting on someone post can higher the news feed appearance, as those posts you interact are likely to be shown higher in your News Feed than posts from someone you never interact with. But there is no such thing called Blocking or unblocking. The goal of News Feed is to show you the posts that matter to you so that you have an enjoyable experience. If we somehow blocked you from seeing content from everyone but a small set of your friends, odds are you wouldn't return. But if you want you can control what to view in your news feed. You can choose to show first, default or unfollow. Visit to the friends profile. If show first is choosen you will see the new posts from that user first in your news feed. If you select unfollow, you wont see the post from them in the news feed at all. You can view the posts in their profile. and They won't know that you had unfollowed them. Facebook made it clear that there is no limit on number of peoples post being visible in your news feed. Although the more interaction the more chance of visibility. You can control what to be visible in your facebook news feed.